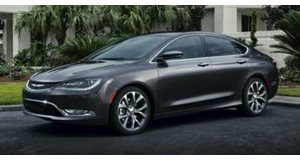 Rumor: Lancia Canceling Their Chrysler 200-Badged Sedan? Lancia has supposedly dropped plans to rebadge the current Chrysler 200 and will wait for the 2013 redesgined model instead. Lancia unveiled three badge-engineered Chryslers at last year&apos;s Geneva Motor Show and now the Italian automaker is supposedly reconsidering its idea to rebadge the Chrysler 200 as a Lancia. All three badge-engineered Chrysler models were developed to fill gaping holes in Lancia&apos;s lineup. The Flavia was a rebadged 200 and was shown as both a four-door sedan and a convertible. The Thema is a rebadged 300C and the Grand Voyager shares its name with the North American Dodge. The three cars looked production-ready, but Lancia made it a point to name the Flavia a concept. The plan was for both the Flavia and Thema to make production sometime in the near future, but now the rumor is that Lancia has canceled the Flavia because the Italian automaker said it would not be profitable enough. The 200 is simply a major refresh of the Sebring, which was never popular among European buyers, so adding a Lancia badge on it wouldn&apos;t really help. The next-generation of the 200 will debut in 2013 and now it&apos;s rumored that that car will be rebadged as a Lancia instead. It will be developed in Italy in order to appeal more to European buyers. For the time being, Lancia will have to be patient until the new 200 is launched. A mid-size sedan offering is something they have not had since they dropped the Lybra. So in other words, Lancia will have to make do for now and hope the Thema catches on and can generate a decent profit.